Can you tell us a little bit about Coastal Outdoor? 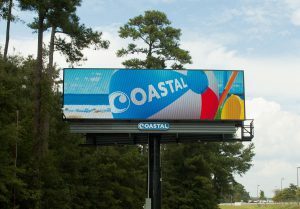 Coastal Outdoor is an Out-of-Home company founded in 1996 located on the coastal region of the Carolinas, headquartered in Myrtle Beach. We currently operate more than 800 static faces and a network of 27 digitals. We have a large tourism market, one of the largest in the country, unique to our coastline. Our market is distinctive in that we host over 18 million tourists annually; that number is comparable to Disney. In fact, people are often surprised to hear that in the summer months, the population swells to that of Chicago or Houston. Why the significant push into and focus on digital? 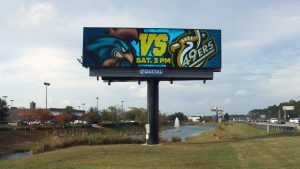 Myrtle Beach has been a traditional OOH market but we’ve moved heavily into the digital marketplace; this has been a keen focus for us. We’ve pulled together a network that covers a span of 60 miles along the beach, from the North Carolina line reaching close to the Charleston County line. Digital gives us the opportunity to change messages very quickly in conjunction with data and other information sources available to us from the OAAA, Geopath, etc. It gives us a unique opportunity to deliver to targeted audiences and be able to measure the effectiveness of a campaign. We like the flexibility, the market penetration and the ability to modify messaging on the spot. How has digital made a difference in your market? We definitely have had some exceptional opportunities as a result of having the flexibility to change messages based on timing and market conditions. For example, we’ve worked with Ripley’s Aquarium, here in Myrtle Beach, to generate an RSS feed. When bad weather comes in and people are coming off the beach, our digital network gives us the flexibility to run a special promotion for Ripley’s tied to the changing weather patterns that will push people leaving the beach to the aquarium. Ripley’s has seen an increase in traffic made possible by the flexibility of having a digital network and being able to get that message out with immediacy. Previously, from a national standpoint, our marketplace was unknown. We had very few national buys coming in. We’ve made ourselves more recognizable with the national and regional agencies, so we’re seeing a lot of requests for market data and analytics, which is where Geopath is very valuable. We’re excited about where things are going with the new software. 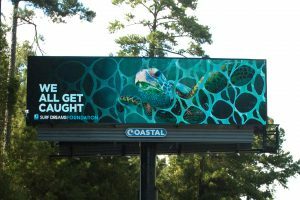 We’ll be able to utilize that in our day-to-day operations, not only for targeting audiences and delivering specific messaging, but also using this valuable information for developing new assets in the market and in new alternative OOH placements. We’re very excited about that. Generally speaking, what are some of the challenges and opportunities you see facing the Out of Home industry right now? We continue to face regulatory barriers that prohibit us from having organic growth within the marketplace. As markets and territories tend to grow, the regulations can be antiquated, making it hard to develop in trending and up and coming markets. In some markets, there are restrictions that do not allow for modernization without sacrificing current assets. These are some of the challenges we face. The opportunities we now have to identify targeted audiences allows us to deliver on a level that we never have before. With “mobile America” continuing to grow, it increases OOH’s role as a top driver of online searches, activations and consumer interaction. Now, having access to smarter data, there is a great opportunity to solidify OOH as a core media buy and level the playing field with other media channels. With data, behavioral analytics and automation of platforms, we can create perceptive targets making it easier to purchase OOH. It’s a great time to be in the industry with the technological advances and innovation that is happening now.